Looking into getting a NEX-7 for the wife to replace her Canon T1i system. Couple of questions about the NEX-7; how is the battery life and are the controls easy to set? Looking at the pictures here the IQ seems to be right up there with her T1i, so that not a concern just wondering about ease of use. I've A55/NEX5/NEX7 and am very satisfied with all - best (my opinion) is NEX7. I also have some Canons, good cameras, but I love NEX more. Last edited by DonalDuc; May 3, 2012 at 11:00 AM. Good to hear, so two or three batteries will last for all day running around town taking pictures. 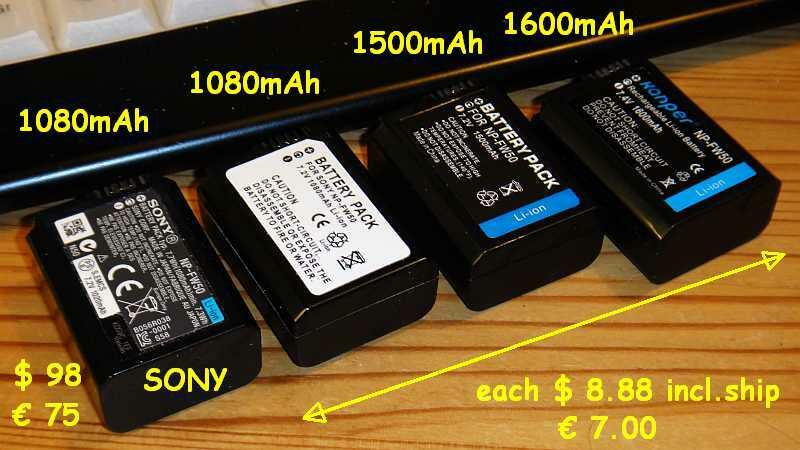 We'll just use the Sony batteries, wife like brand name stuff. As I said the wife likes brand name stuff, so that means I'm married and have been paying for years.